The Biggest Lottery Winners: Where are They Now? Read More! Most of us imagine that all lottery winners live happily ever after. But that simply isn’t the reality for a lot of these winners. Regardless of their financial status, many lottery winners live like the rest of us, with their own sets of problems to deal with. In all of these cases, more money means more problems. It stands to reason that the biggest lottery winners of all time probably have their work cut out for them, right? Well, yes and no. Some have dealt with the pressures of becoming overnight millionaires better than others. Meanwhile, some went completely off the radar! Read on to see what the biggest lottery winners have been up to. The largest ever lottery jackpot in history, the $1.586 billion Powerball jackpot back in January 13, 2016 was split between three winning ticket-holders. Each of the winners took home an equal share of the jackpot. Read more about them below. Since winning the Powerball, John and Lisa Robinson have upgraded to a multi-million dollar home, complete with home theater and a private lake. Other than the noteworthy house, they’ve kept out of the headlines. 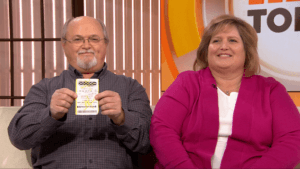 On January 13, 2016, couple John and Lisa Robinson won a third of the historical $1.58 billion Powerball jackpot. Like the other two winners, the Robinsons chose to take their winnings as a lump sum, getting $327.8 million before taxes. Despite their newfound wealth, the couple planned to keep their modest Munford, Tennessee home. John said, “These big fancy houses are nice, but you gotta clean ‘em.” Lisa, meanwhile, said that she wanted to continue working. 2 years after their big win, the Robinsons now live in a $6.2 million 10-bedroom home. Sitting on a 320-acre lot, their luxury home comes with a private lake and some of the best views of Tennessee. More than that, it has eight bathrooms, and even a well-equipped home theater. So much for staying in a modest home! Lisa went back to work the day after they won, but wasn’t treated well. It’s not a surprise then that the Robinsons keep to themselves and ask for privacy. Who could blame them? They’re probably tired of all the strangers and “long lost relatives” asking for a handout! Maureen Smith and David Kaltschmidt are still buying lottery tickets! Other than a few luxury buys, the couple have kept up their old routines. Unlike the Robinsons, Maureen Smith and David Kaltschmidt have continued living a modest lifestyle after their Powerball win. Save for a $90,000 Tesla and a new SUV, the couple haven’t splurged with their winnings. They still live in their $300,000 home in Florida (Florida is also home to one of the largest state lotteries) and frequent the same shops and restaurants. They also go about their daily routine as if nothing big had happened. In fact, despite winning a lump sum of $327.8 million (before taxes), the couple still plays the Powerball! The Acostas stayed quiet before claiming their jackpot, and they’ve kept up the silence since. Scammers tried to take advantage of their charity plans, so we can only assume the Acostas have opted to keep their philanthropy private. Marvin and Mae Acosta, the final third of 2016’s $1.58 billion Powerball jackpot winners, have stayed quiet since their big win. It shouldn’t be a surprise: the pair laid low for over 6 months before claiming their prize. The Acostas didn’t want any publicity then, and nothing has changed after 2 years! Today, the Acostas are still keeping a low profile. Their plan to stay out of the public eye seems to be the right call: once they shared their plans to create a charity, scammers went to work. People began receiving obvious scam letters claiming to be from the Acostas. There was even a website called AcostaFoundation that ripped off the Bill & Melinda Gates Foundation website! As the second biggest Powerball jackpot ever to be won, the one in a million (292,201,338 to be exact) prize goes to a single winner who purchased their lottery ticket in Wisconsin. The winning numbers for the March 27, 2019 Powerball draw were: 6 20 37 44 62 + 12. One lucky winner can take home up to $477 million as a single lump sum, or the entire jackpot in 30 payments over 29 years. The winning ticket was purchased from the Speedway store in New Berlin, Wisconsin. Wisconsin law does not allow lottery winners to stay anonymous. Stay tuned for more updates. Mavis Wanczyk quit her job and retreated from the public eye. When she claimed her prize, Wanczyk said she wanted to be alone and figure out what to do next—and it looks like she did just that. Mavis Wanczyk was the sole winner of the August 27, 2017 draw of the US Powerball. 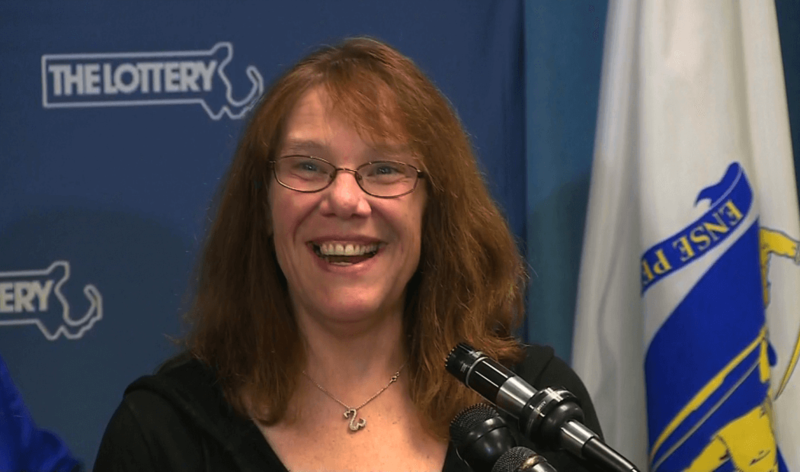 With nobody to split the prize with, the 50-something mom from Massachusetts took home a lump sum of $336,350,655 after taxes. Not long after, Mavis quit her job at Mercy Medical Center in Springfield. However, her current whereabouts and her status are both unknown. And that’s actually part of her plan! Post-win, Mavis said that she’d rather be alone, hide in her bed, and think about what she wanted to do next. Judging by the lack of any news about her, it looks like she got her wish! 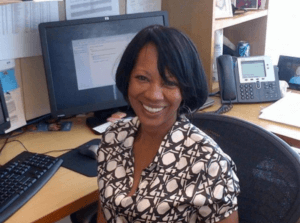 Scammers did try to use Mavis’ name, but authorities and the media quickly caught on. Gloria McKenzie replaced her rundown apartment with a seaside mansion and donated $2M for a Maine high school’s repairs. In May 2013, Gloria MacKenzie, an 84-year-old from Zephyrhills, Florida, set the record for Powerball winnings. She hit the $590.5 million jackpot with nobody else to split the prize. As the sole winner, MacKenzie took home a sizeable $278 million after taxes. After her big win, MacKenzie bought a seaside mansion worth $1.2M in Jacksonville, Florida—a big upgrade from her run-down $30,000 rental apartment. MacKenzie also donated a cool $2M to a Maine high school that needed new roofing. The generous grandmother also pledged to share her winnings with her son, Scott. How is the biggest Powerball winner is doing now? It’s hard to tell: her family has requested for privacy, and there has been no news since. 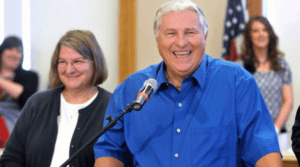 Cindy and Mark Hill have maintained their modest lifestyles, spending most of their money funding civic projects and charity work in their Missouri hometown. 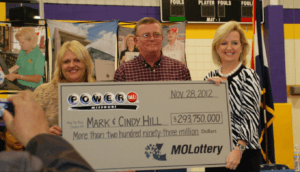 In November 2012, Cindy and Mark Hill won half of the $587.5M Powerball jackpot. Like Maureen Smith and David Kaltschmidt, the Hills have continued living modestly since their win. For instance, Mark still gets his morning coffee at the local convenience store. He’s also chosen a modest pickup truck over the Camaro sports car he had been eyeing. But that doesn’t mean the Hills haven’t been using their winnings. Before hitting the Powerball jackpot, the Hills had already donated to civic projects in their hometown of Camden Point, Missouri. Now, with millions of Powerball winnings in the bank, the Hills’ generosity seems to have multiplied by tenfold! Camden Point has the couple to thank for their new fire station and a new ball field. The Hills also gave more than $50,000 so the town could buy a site for building a new sewage treatment plant. Finally, the Hills also pledged a large amount to North Platte High School’s scholarship fund. It isn’t clear what the Hills have been up to since then. But given their philanthropic ways, it’s a good bet that they’ve put that $136.5M prize to good use! The winner bought their lucky ticket in Simpsonville, South Carolina. As the sole winner, the lucky ticket holder will take home $878 million. South Carolina allows lottery winners to stay anonymous. The winner claimed their prize last March 2019, more than 4 months after the draw. Check out our article on this historic Mega Millions jackpot, for more information. 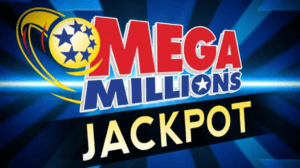 The $656 Mega Millions Jackpot is now the second largest jackpot in Mega Millions history. This happened way back in March 30, 2012, and produced three winning tickets. Merle and Patricia Butler built a legal and financial advising team to help manage their winnings. They’ve had to speak against scammers using their name, but they’ve maintained their privacy since. 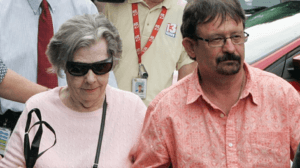 Merle and Patricia Butler split the $656M Mega Millions jackpot with two other winners in 2012. The Butlers took their winnings home as a $157.8M lump sum, and they haven’t been in the public eye since. Funny enough, they were the only ones who came out publicly! The other winners were a group who called themselves “The Three Amigos” and an anonymous individual. 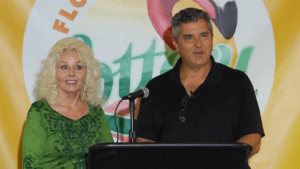 Like the Acostas, Merle and Patricia Butler consulted legal and financial advisers before claiming their prize. If their absence from the spotlight is any sign, they seem to be following their legal team’s advice. After all, if a lottery winner is in the news often, they’re probably doing something wrong. Take, for example, the infamous lottery winner Jane Park. Unfortunately, the Butlers couldn’t stay out of the spotlight completely. Like the Acostas, they found their names used in various scams. Merle had to go on record to clear the Butler name. But after that, no news stories—good or bad—have come out about the Butlers. Ira Curry claimed her prize within days and vanished just as quickly. Back in December 2013, Ira Curry split the $648 million Mega Millions jackpot with one other winner. Curry opted to receive her winnings in cash, taking home around $120 million after taxes. Shortly after her big win, Curry and her family suddenly went into hiding. What Ira Curry ended up doing with the money and where she is now is anyone’s guess. Steve Tran quit his job and kept his peace. Steve Tran was the second winner of the $648 million Mega Millions jackpot in 2013. Like Curry, he’s stayed out of the public eye since his big win, so nobody knows where he ultimately ended up. We do know what he didn’t do though—work! After his win, Tran called up his boss and said, “I don’t think I’m going to come in today, tomorrow or ever.” If all went according to plan, Tran is probably relaxing in a tropical island right now! Shane Missler continues to share his experiences on his social media accounts. Shane Missler was the only winner of the $451 million Mega Millions drawing in January 5, 2018. 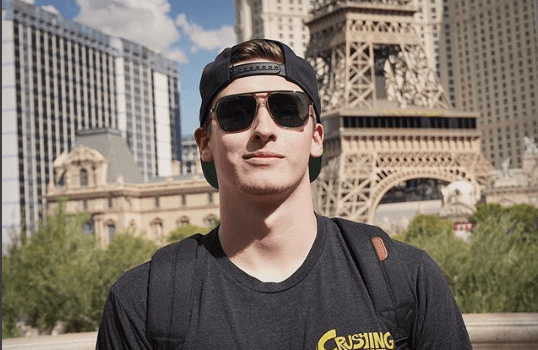 Immediately after finding out he’d won, he posted about it online and soon found himself right in the middle of a Twitter scam. The hoax involved a fake tweet, claiming to have come from Missler himself, and a false promise of $5000 to people who would retweet it. Nowadays, it’s easy to see for yourself what Missler is up to. You can follow him on his social media accounts, or check out our article on Shane Missler if you’d like to read more about his story. Christine and Colin Weir upgraded to multi-million homes, invested in football, and established the Weir Charitable Trust. The Weirs didn’t just win any old National UK Lottery jackpot in 2011. 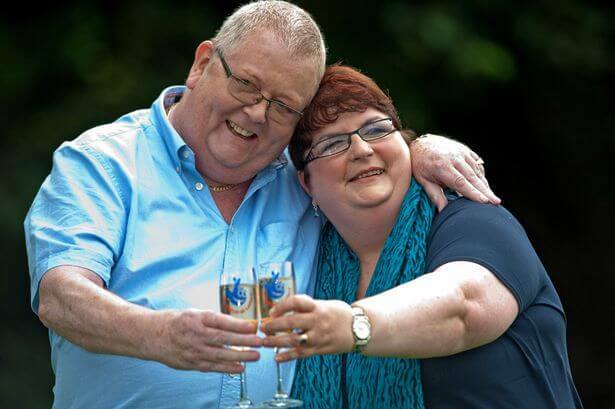 Christine and Colin Weir won the largest ever EuroMillions jackpot and became two of Scotland’s richest people overnight. Unlike some of the winners on this list, the Weirs have not been shy about their winnings. Since their 2011 win, they’ve snapped up several mansions to replace their three-bedroom home in Largs. First there was Knock House, which cost an estimated £850,ooo — not counting the extensive renovations and upgrades, including a new wine cellar. In 2013, they bought a £3.5 million estate called Frognal House, which came with greenhouses and fountains. And just this year, Colin Weir added a £1.5 million waterfront mansion to the list. The Weirs haven’t just been spending on themselves, though. They’ve invested millions in Partick Thistle, a Glasgow-based football club. Colin Weir even sits as director for Three Black Cats, the developer working on the football club’s expansive new training grounds. That’s not all! Christine and Colin Weir have also established a very active foundation called the Weir Charitable Trust. The philanthropic organization has provided millions in funding to Scottish community groups and small charities. As if that weren’t enough, Christine and Colin Weir have also been active in national politics. They’re among the biggest donors for the Scottish National Party (SNP). They initially gave the party £1 million after they first hit the EuroMillions jackpot. Since then, the Weirs have contributed over £4 million to the SNP’s general election campaigns, as well as the “Yes” campaign in the Scottish independence referendum. Aura Dominguez Canto has kept to herself, planning to use her winnings to support her family. 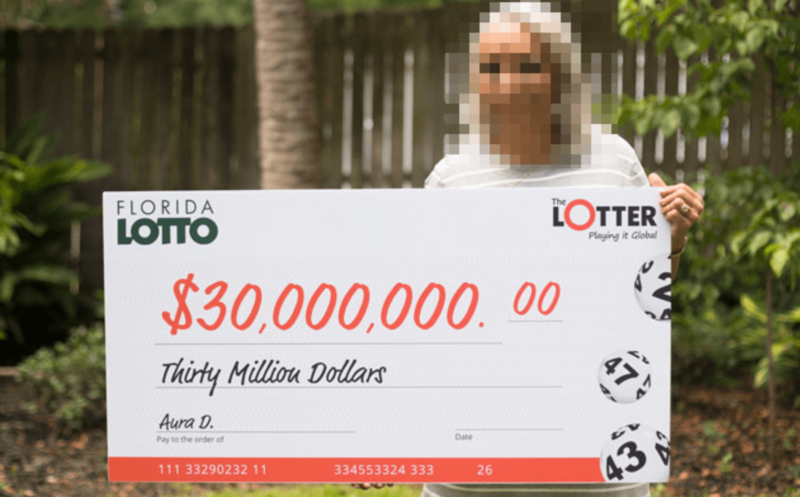 When retiree Aura Dominguez Canto joined the Florida Lotto in 2017, it was out of need. She realized that, by winning, she could continue to support her children and take care of herself. Determined, Canto played for a whole month: she signed up for theLotter, one of the biggest online lottery agents. She lost the first few times. But on August 16, 2017, Canto finally won the $30,000,000 Florida Lotto jackpot. She took home a lump sum payment of $20,948,543.98. At the time, Aura was unsure what she would do with her winnings besides supporting her children. Today, Mrs. Canto has managed to stay out of the limelight completely. Her current whereabouts are unknown. One thing’s for sure though: thanks to her persistence, her children won’t have to worry about money! Canto isn’t the first nor the last success story for online lottery players, either. Since 2002, theLotter has helped people all across the globe win over $90 million in prizes. And because they’ve successfully pushed for the legalization of online lottery in New Jersey, that number is sure to grow!